Kayleigh Padar | The Phoenix The store is smaller than a typical target, and will carry items tailored to Loyola students and people living in the neighborhood. 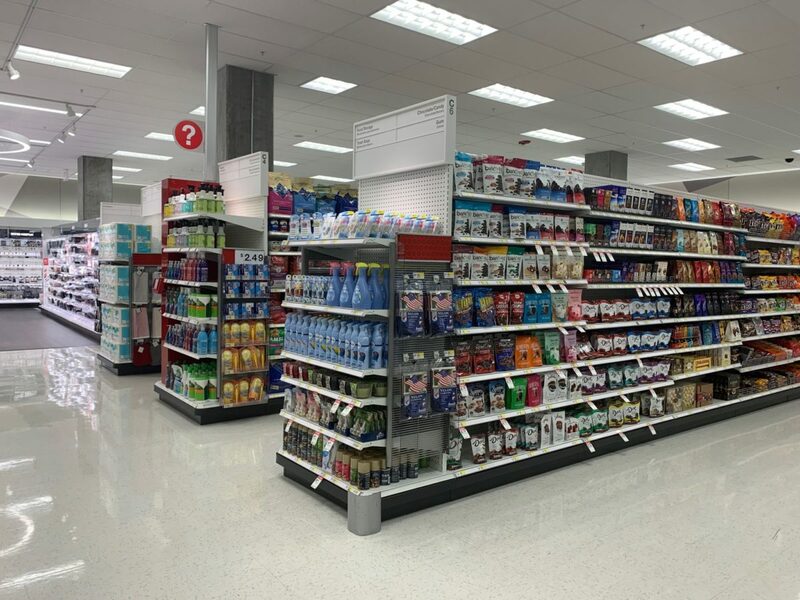 A small-format Target store is set to open on April 7 across the street from Loyola’s Lake Shore Campus in the Rogers Park neighborhood. The store hosted a ribbon cutting preview event April 2. The Target — which is located at 6422 N. Sheridan Road — mainly contains groceries, toiletries and home goods, including kitchen appliances, storage and decor. It also stocks clothing, cosmetics, cleaning supplies and technology, and houses a Starbucks. Because the store is smaller than a regular Target, research went into which products the store would carry, The Phoenix previously reported. 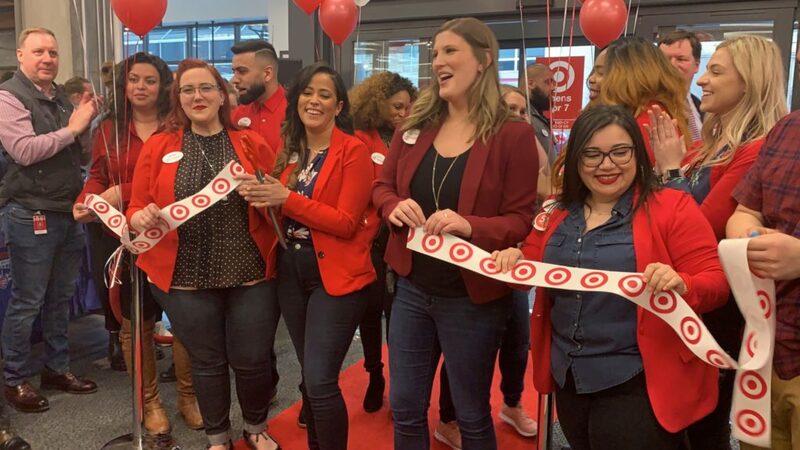 Target employees cut the ribbon at the preview event April 2. 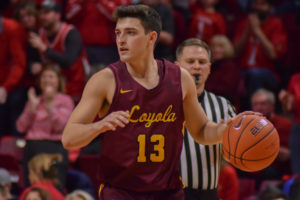 Noelle Engemann, the store’s team leader, told The Phoenix the store is expected to mainly serve Loyola students and young adults who live in apartments nearby, so the products are tailored to this population. 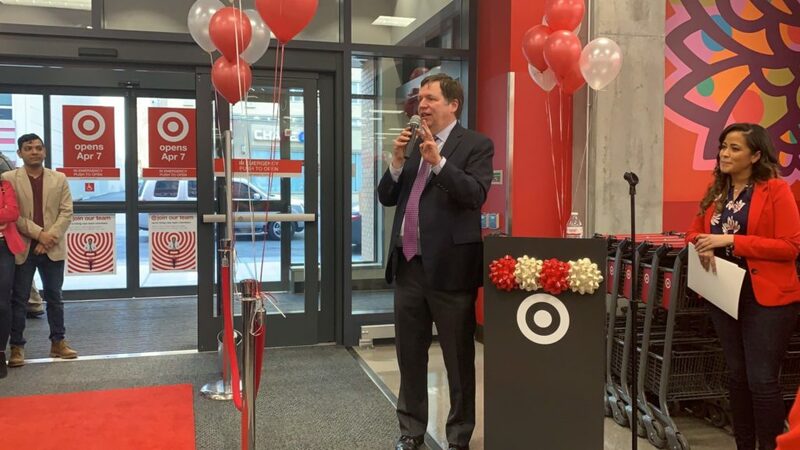 In addition to the limited selection at the Sheridan Road location, guests will be able to order items from the Target app and pick them up at the store within an hour, which gives them access to all Target products, Engemann said. Joe Moore, the current alderman of the 49th ward — which covers Rogers Park — spoke at the April 2 event and said the best parts of the new development are the 70 jobs it brought to the neighborhood, the new retail options and the affordable housing units which were constructed above the Target. The exact opening day of the apartments above the Target is unclear. 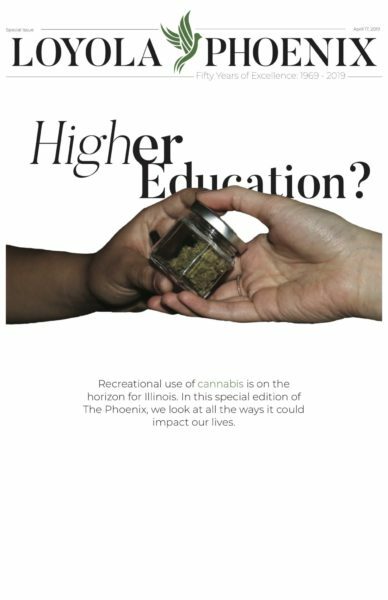 Construction on the development began in November 2017 and was initially expected to be completed by fall 2018, The Phoenix reported. It’s considered “transit-oriented” because it’s near public transportation and will include both rent-controlled and market-price housing units. Joe Moore speaks at the ribbon cutting preview event April 2. Vanessa Rangel, a Loyola graduate student, said she’s glad the small store will offer school supplies and is excited to have a place to stop by quickly before class. Katie Murphy, a first-year studying political science and advertising/public relations, said she’s nervous the store will create more traffic but is glad she won’t have to travel as far to go to Target. Murphy said she’s also excited to have a place to buy school supplies because it’s more expensive to buy them on campus. She said although this Target is smaller, she thinks it will be the same as a regular store.